Great tips from zillow.com on what to do when your home just isn’t selling. With these helpful hints you will be able to sell your house fast. Great pictorial help from houzz.co.uk on how to design around your unique garden shape. Get yourself ready for next Summer. curbed.com showcase a very interesting piece of wooden furniture architecture – a domed bookshelf. Helpful style tips for when designing your home. The most family friendly place in the UK has been revealed by the telegraph.co.uk. It’s no other than Shrigley Road in Bollington, near Macclesfield. A piece about inheritance and property from theguardian.com. Research has shown that one in five are relying on it to get them on to the property ladder. Good news from propertywire.com for UK residents, as we’ve seen a sharp increase in mortgages approvals since 2014. More fromtheguardian.com about the widening gulf between the UK salaries and home prices… Worrying for future generations. The weekly Wednesday Inspiration post from rightmove.co.uk, this time they are located in the lovely Inverness, Scotland. Even more from theguardian.com – Carbuncle Cup, showcasing the worse building of the year in the Capital. propertywire.com has released some very interesting data regarding the Irish property market. It seems that property prices from the outside of Dublin is rising year on year. Good news to see growth outside the capital city. propertywire.com once again today, have released more interesting research into the desires of moving home. As we progress as a society, it’s deemed more and more important to have high speed internet in our homes. The London property market continues to show unsustainable growth, reported by cityam.com. A former garage in Mayfair has recently sold for a staggering £24m. 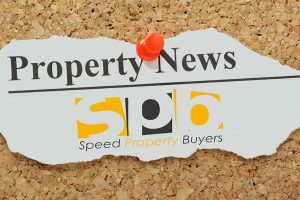 Even more grim news for landlords from the website propertywire.com. The new cuts in tax breaks for certain buy to let landlords could put 1 in 5 out of business. Three simple tips from zillow.com. How to improve your home with a moderate budget. The 100 Best Places for Families to Live Revealed: Do You Live Near a Family Friendly Hotspot? dailymail.co.uk have revealed the 100 best places for families to live. Great list if you’re looking to move rather soon!